St. Patrick’s Day is only a few days away. This special holiday is celebrated by those of Irish heritage all over the world. What are you doing to celebrate this special occasion? There are plenty of ways to celebrate this holiday, and you don’t necessarily to be of Irish heritage to live it up this St. Patty’s Day. Grab a pint of beer, put your best green t-shirt on, and adorn your neck with a shamrock necklace. Voila! Suddenly, the luck of the Irish is on your side. Celebrate St. Patty’s day in your office by making your employees feel truly lucky this March 17. Surprise them with beautiful new office furniture from PnP Office Furniture. They’re going to be thrilled to see stylish new desks, cubicles, office chairs, conference room tables, reception area furniture, and more. Let us help you pick out stylish pieces for your entire office. Your employees are going to feel so lucky to have such great furniture to use at work every day, and your budget will feel extra lucky. Our prices are always reasonable and affordable. For the truly budget-conscious, we highly recommend our gently used office furniture. You’ll find high quality furniture at amazing deals when you choose PnP Office Furniture for all your office furniture needs. To make your office furniture purchasing experience even easier, we offer affordable layout planning and set up services, as well as delivery within a 50-mile radius of our Ontario, CA store. You’ll feel so lucky to have found PnP Office Furniture. Transform your office into a space you can really feel proud of with a little help from PnP Office Furniture today. 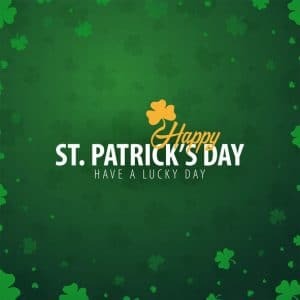 St. Patty’s Day is the best day to invest in your company’s success with new or used office furniture from PnP Office Furniture. Don’t forget to check out this month’s specials! We often accumulate a large inventory of certain items at excellent prices, and we relish the opportunity to pass these savings on to you. This month, we have incredible deals on black bonded leather chairs and sofas, sit-stand base tables, laminate bookcases, 10 position desk risers, and lumber support desk chairs in 7 eye-catching colors. These deals will be gone before you know it – take advantage of them today! PnP Office Furniture is located at 940 South Rochester Ave. Suite D Ontario, CA 91761. Business hours are Monday-Friday 8:30am-5:30pm and we offer delivery services within a 50-mile radius of our store. Stop by to see why so many companies have relied on PnP Office Furniture for all their office furniture needs!